Research in the LM documents how long-term biogeochemical dynamics respond to pulse and press disturbances, the effects of hurricane and the effects of more extreme wetting and drying events on forest biogeochemistry. Land use changes will fragment adjacent terrestrial plant communities, reducing biophysical connectivity and biodiversity. We predict the development of “urban syndromes” in linked aquatic and terrestrial ecosystems along the flanks of the LM and a reduction in critical ecosystem services. The Canopy Trimming Experiment (CTE) is a long-term experiment designed for two purposes: 1) to decouple the effect of canopy disturbance..., and 2) to increase the frequency of simulated hurricane effects above background levels to once every six to ten years. 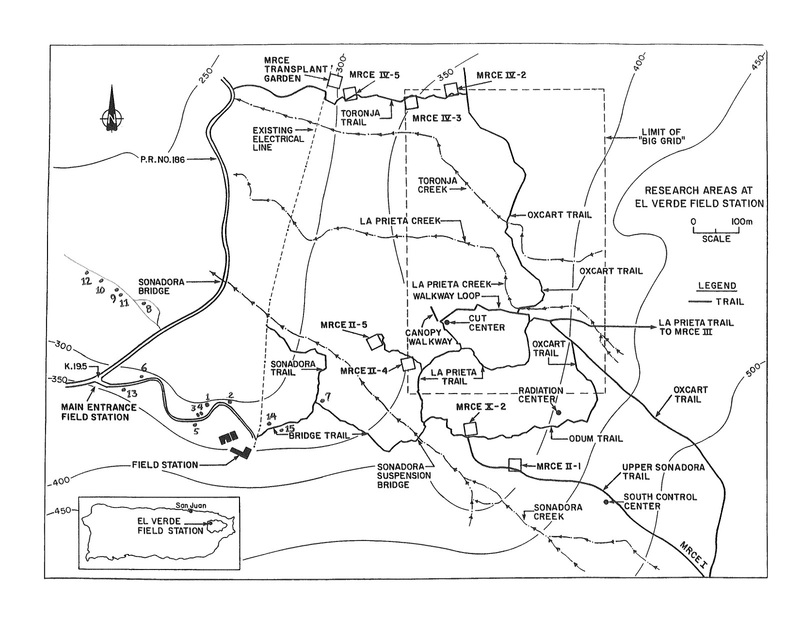 The LFDP has a history of land use disturbance and also hurricane damage, disturbance types that interact and influence the community dynamics and species composition in the LFDP. Functional biodiversity is more tightly linked to environmental characteristics and responds more strongly to both press and pulse disturbances than do taxonomic and phylogenetic biodiversity. 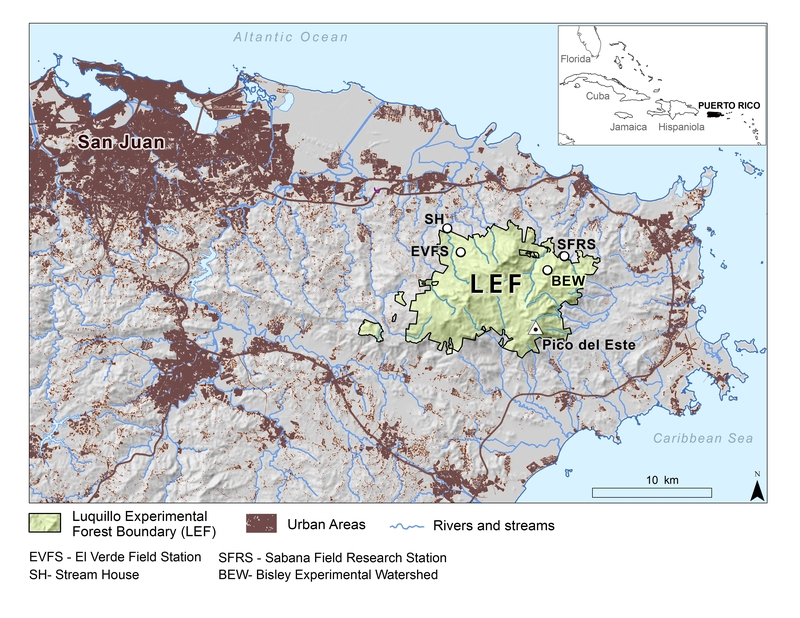 Changing land use affect ecosystem services in northeast Puerto Rico. Research at Luquillo LTER led to the discovery of DNRA and Feammox, novel pathways for nitrogen loss from terrestrial ecosystems. Mission Statement: Explore space and time variations in ecosystem structure and function within changing tropical landscapes. The National Science Foundation (NSF) created the Long-Term Ecological Research (LTER) Program in 1980 in order to understand the dynamics of ecosystem processes. Focusing on long-term, broad-scale research; multi-disciplinary teams; and collaborative efforts, LTER has become one of the most successful programs conducting research in ecology, with over 25 sites covering a diverse range of ecosystems in the continental U.S., Alaska, Antarctica, and islands in the Caribbean and Pacific. 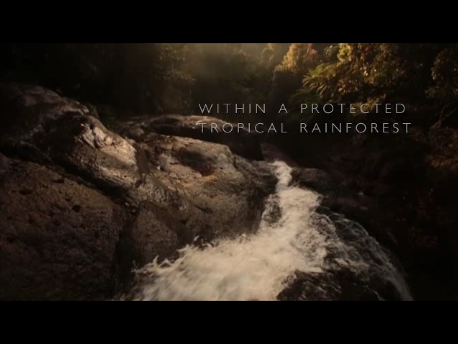 The importance of conservation of freshwater ecosystems, especially tropical streams and rivers, is highlighted in this video by Freshwaters Illustrated (produced with NSF support). LUQ researcher Alan Covich presents a summary of the organisms that inhabit the freshwater streams of Puerto Rico and their importance to the ecosystem's health and services. Dr. Covich also speaks about the conservation and preservation of this valuable resource for future generations.